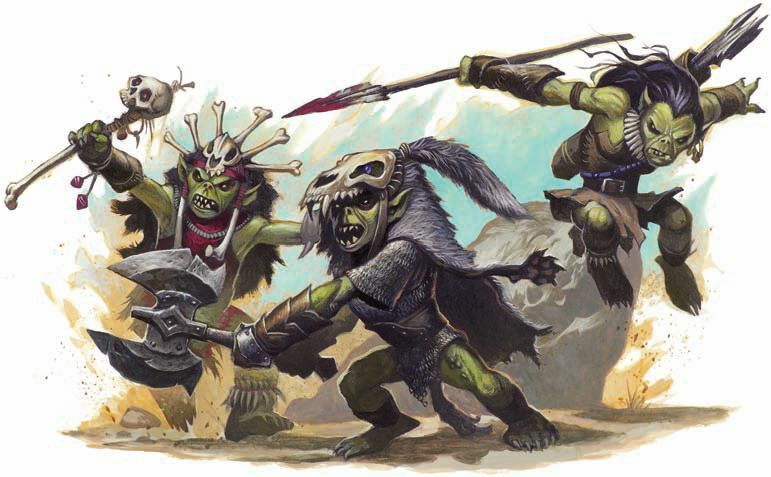 Goblins are wicked, treacherous creatures that love plunder and cruelty. They’re not very big or strong, but they’re dangerous when they gang up. Goblins breed quickly and can live most anywhere, from caves to ruins to a city’s sewers. They survive by raiding and robbery, taking every usable item they can carry from their victims.